Universities of science and technology (TU’s) have long acknowledged the important contribution of doctoral graduates in the creation of new knowledge. In the past, the training of doctoral researchers was largely tacit and implicit. 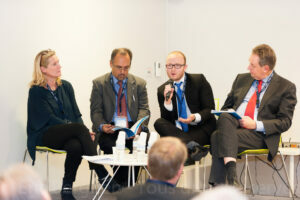 In more recent years, universities, together with European and national policy makers, have made certain elements of this training more explicit. 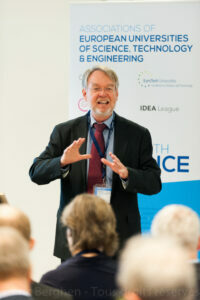 For example, in 2011 the European Commission published the seven principles of Innovative Doctoral Training (IDT). 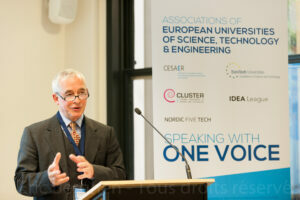 With this paper, five associations of universities of science and technology – CESAER, CLUSTER, EuroTech Universities Alliance, IDEA League and Nordic Five Tech – contribute to this ongoing discussion on IDT from the perspectives of their 53 member universities located across Europe. This paper does not necessarily represent the views of all these universities, but it aims to highlight some best practices and challenges that TU’s encounter in the development of their doctoral training programmes. 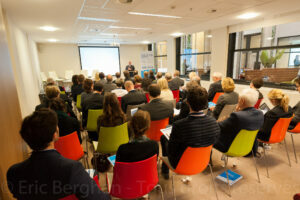 The paper aims to stimulate a further in-depth discussion about the future of doctoral training both with key European stakeholders and between the universities themselves. The paper presents a first set of recommendations targeted at universities, as well as European and national policy makers, on how to encourage the further uptake and implementation of IDT models. Similarly to comprehensive universities, TU’s are constantly developing innovative approaches in their provision of doctoral training – particularly in relation to the (three) principles of Research Excellence, Attractive Institutional Environment and Quality Assurance. Faced with the increasing variety of career perspectives of doctoral graduates, TU’s have specific experience and models to offer in relation to the (four) principles of Interdisciplinarity, Transferable competences, Exposure to the non-academic sector and International networking.